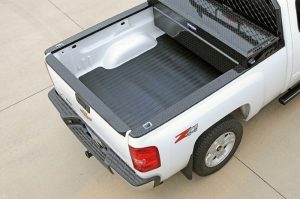 DeeZee Bed Mats are a cost-effective solution for keeping your truck bed surface new. 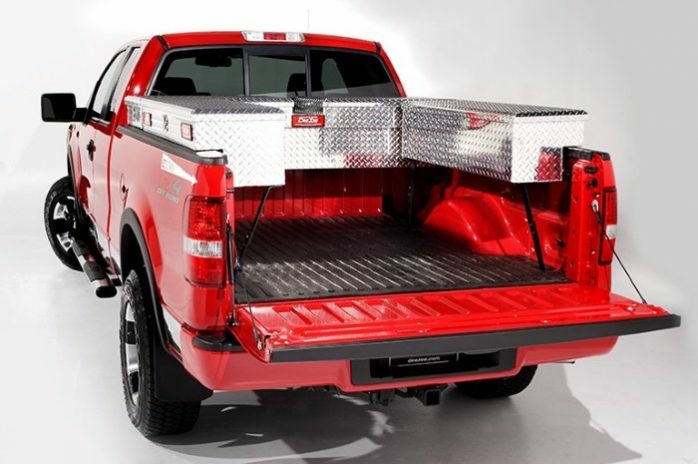 If you’ve ever scratched your truck bed then you know the feeling that follows when you hear the sound of your investment losing value. You toss a lot of things in the bed of your truck, why not let one of them be a little protection. 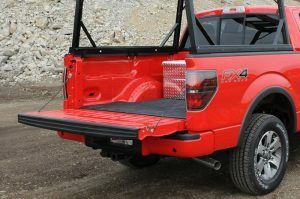 DeeZee Bed Mats are a cost-effective solution for keeping your truck bed surface free from scratches, dings, and dents caused by loading and unloading, or cargo shifting around during transport. DeeZee Bed Mats custom fit your truck’s contours for ultimate coverage. Concerns about trapped water and rust are non-existent since our truck mats use rubber cleats on the under side to facilitate drainage and keep the Bed Mat securely in place. 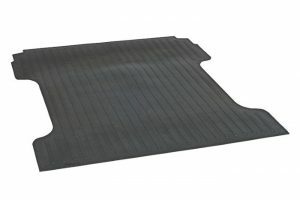 Made in the USA with superior manufacturing, each heavy-duty Dee Zee Bed Mat is constructed from .375″ (9.52mm) high-density Rubber compound that resists abrasion and tears from your cargo. The tightly compressed Rubber fibers can handle common gas or oil spills, making them perfect for transporting motorized work equipment or all terrain vehicles. 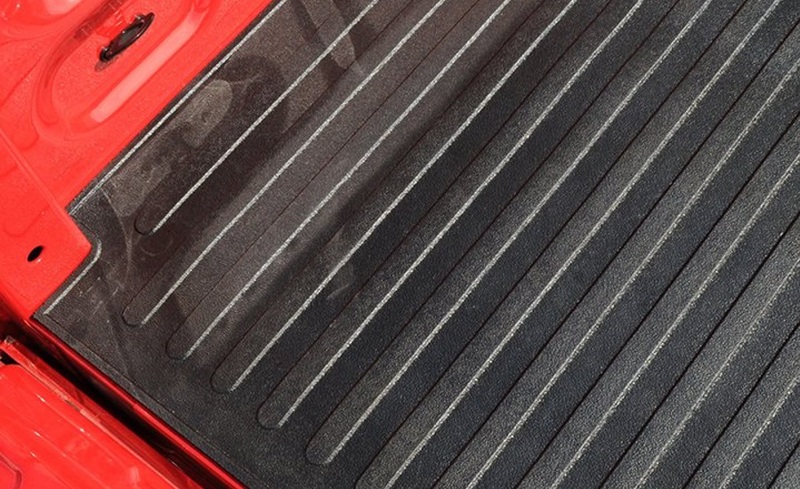 Your custom fit Bed Mat deflects harmful UV rays and will not crack, rust or break- even in the most extreme temperatures. Helps prevent cargo from shifting & damaging your truck bed. 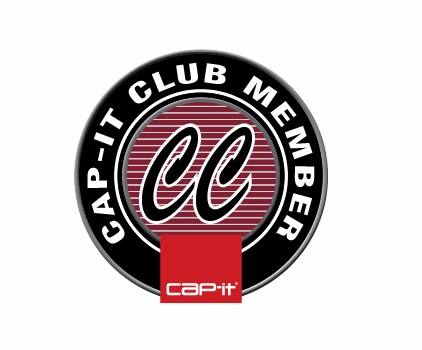 Will not crack or break – even in extreme temperatures. 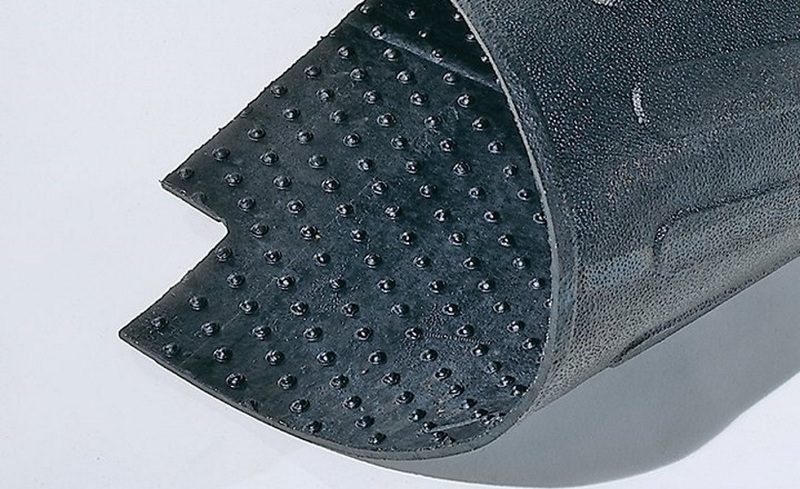 Rubber material deflects UV rays to reduce fading. Custom fit applications contour around wheel wells for a perfect fit. Trimming may be required for short bed applications.